Housing construction is one of the largest sectors of most major economies in the world. In the United States, for example, housing is a significant contributor to the American economy, providing millions of Americans with jobs and generating hundreds of billions of dollars of economic output each year. It is also an important source of wealth building. Beyond economic measures, homeownership and adequate rental housing also contributes to society. The construction and sale of new homes make direct contribution to GDP, based on the value of the housing built. However, the sales of existing homes do not enter into the calculation of the nation’s domestic output, just as a used car sales do not get entered because the transaction does not represent a new production. However, purchases related to the transaction of existing home sale do get included in the GDP. For example, all payments for services rendered, such as real estate agent commissions, home inspection, attorney, and loan origination fees, are included. Currently, Pakistan has a serious housing crisis and needs about 7 million additional housing units now, according to the data presented at the World Bank Regional Conference on Housing last year. According to BMI research, the country’s real estate sector continues to be dominated by the two major issues of a chronic shortage of housing against a backdrop of rapid urbanization and rising population and the impact of security factors on the risk appetite of investors and developers. The first of these factors remains as intractable as ever, with the most recent estimates identifying shortfall of 7.9mn houses. By contrast, the current government is committed to building just 1 million houses. Other estimates paint a similar picture with the Punjab province, with a population of 82 million, said to be facing a shortage of 5 million houses. By some accounts, nationally there is an incremental demand for 700,000 units a year against the annual construction of just 150,000 units. As to the second factor, the major projects currently moving forward are being executed by risk-tolerant developers from regions such as the Gulf Cooperation Council(GCC) and government or government-linked landowners in Pakistan. This has significantly reduced the scope to provide housing at the level required to supply the backlog. Recently, however, there are reports that Malaysian developers are coming to Pakistan, according to Malaysian news agency Bernama in August 2009. 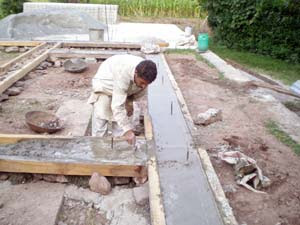 The Malaysian developers are negotiating to build some 500,000 low-cost houses annually in various parts of Pakistan. The recent Dubai debt crisis will likely hurt some Pakistani workers in the Gulf region. However, the flip side of Dubai troubles is that many of these Gulf developers will look at Pakistan where real estate investments have always been winners, regardless of the political or economic environment. The supply has continued to lag demand for housing, retail and office properties. The Gulf and Malaysian investments in housing can potentially help resuscitate Pakistan's currently moribund economy by creating millions of new jobs directly and indirectly. Construction is one of the most labor intensive economic activity requiring large numbers of workers, creating hundreds of thousands of jobs. And when the buyers move in, they will demand all kinds of products and services to furnish their homes, thereby creating further employment opportunities. All of this is offers a great recipe for reigniting economic growth and renewed prosperity in Pakistan. A new wave of housing construction offers an opportunity to the PPP leadership to live up to at least one of their election promises included in their "roti, kapda and makaan" platform. Looking back at the history of the political platforms that have succeeded, what comes to mind is the name of President Franklin Roosevelt and his "New Deal" , as well as the successive US Presidents' policies on "The American Dream" of home ownership for all. These policies helped reduce poverty and enhanced education and housing for a large number of people in the US. 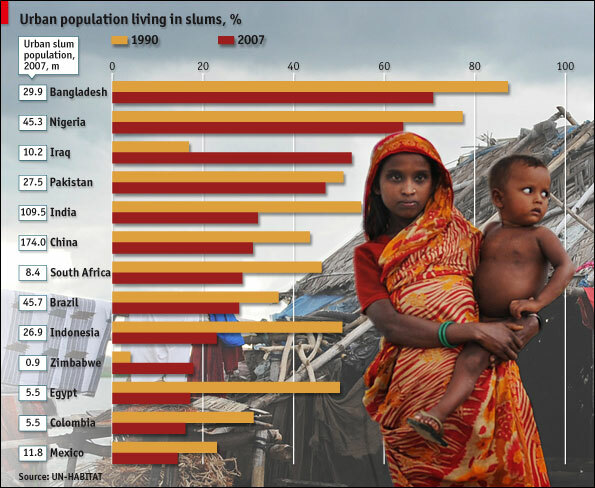 New housing construction can also help reduce poverty in Pakistan. where as pakistan has 42 civil airports. Further india has got one of the largest railway network to connect all corners of the country. India has 92 airports with 12 international airports...where as pakistan has 42 civil airports. Further india has got one of the largest railway network to connect all corners of the country." The numbers you quote for India are not impressive. Based on its population and area, India should have 5 to 7 times as many airports and larger railway track and road network as Pakistan. A recent World Bank report on housing in South Asia mentions lack of housing finance as one of the key impediments to more low to middle class housing. It says that "Pakistan's finance-to-GDP ratio in below 1 percent. The ratio in developed countries is 50-70 percent, and 7 percent in India." It adds that "in spite of active and robust financial sector reforms led by the State Bank of Pakistan [SBP] in the recent decade, the unweildy land administration environment, unprecedented rises in land prices, and inadequate mortgage lender experience with lower-income housing have prevented the market from advancing in the provision of housing and housing finance solutions." ...as the middle class of the city has expanded, real estate developers have now increasingly begun to offer more affordable variants of the gated housing community, primarily by reducing the size of the average house. Builders predict the fastest growth in demand for the 125-square-yard duplex or townhouse, which is made affordable by offering an instalment plan for the full price, which can start as low as Rs1.2 million. “The higher end of the market is saturated. Now the industry needs to cater to the rapidly growing middle class that is seeking comfortable housing facilities,” said Abdul Aleem Khan, who runs a real estate development business based out of Lahore. Eden Housing, one of the largest real estate companies in Pakistan, was the first to create such housing schemes in the 1990s, which typically include better roads and infrastructure than the rest of the city they are in. Since then, this formula has been copied by many developers, who saw how rapidly Eden was able to sell off its inventory. Many of the facilities have hired a full-time staff of maintenance staff. The security is often provided by one of the more than 600 private security companies that now hire out both equipment and guards to a Pakistani middle class that is increasingly concerned for its safety. Lahore has at least two dozen of these gated communities. In keeping with the temperament of the people in the Central Punjab region, there are hardly any apartments. Most of the housing units are bungalows, townhouses or duplexes. Some of the largest units can be spread over as much as 1,200 square yards, with the smallest ones generally being no more than 125 square yards. Other common sizes include 150 and 200 square yard units. Builders often locate these communities close to major thoroughfares. Yet as real estate within Lahore proper grows increasingly scarce, many developers have begun to create such offerings on the outskirts of the city, taking advantage of the improvements in the transportation infrastructure in Punjab that includes a highway network comparable to that in some parts of the developed world. Once Lahore’s Ring Road is completed, such housing projects will be able to offer even faster access to the inner city. Khan, the real estate developer, says that nearly all of the buyers of houses in these projects tend to be buying their own primary residences. “These schemes are not really meant for investors,” he said. While the private sector performed magnificently whenever provided with an enabling environment, the response of the present government remains mired in confusion and inertia. Installed capacity was a paltry nine million tons in 1990, much of it being grossly inefficient as it was based on the outmoded wet process technology. As demand rose, the industry responded by launching a massive expansion programme. Over time, the installed capacity rose to nearly 44 million tons, a magnificent feat by any standards and a credit to the entrepreneurial spirit of the private sector. However a number of adverse developments from 2007 onwards have brought the GDP growth to some two per cent. It is being reported by the media that the revised allocation after the latest cut, is a measly Rs180 billion. High inflation combined with slump in real estate and increase in the cost of production due to weakness of the dollar, resulting in a spike in coal prices, electricity and freight rates and accounting for 70 per cent of the cost, has adversely affected consumption while production cost soars, retarding construction activity in the private sector. The current economic environment including low public spending has had disastrous consequences for the cement sector. Local sales during the first half of the current fiscal year have witnessed an eight per cent year on year drop to around 10.1 million tons. Simultaneously, exports fell from 5.6 million tons to 4.6 million tons. The bad news does not end here. On top of low volumes, the average cement FOB prices fell to $48 per ton during the corresponding period— a level low enough to hardly break even. Consequently cement sales through the sea route alone declined by about one third. Cement sales to India were also hard hit on account of non renewal of BIS certification (a quality control licence). Burdened with high energy and freight costs as well, the manufactures are desperate for some government support. But no support is forthcoming. One would expect the government’s economic planners to appreciate the tremendous odds against which the industry is battling. If care of the cement industry is in short supply, then some thought may be given to the enormous exposure of the banks which have provided financing to the tune of $1.5 billion to the sector during 2003-2008. “It is of deep concern that eight months after the devastating floods in Sindh many people still live in severely damaged or temporary shelter.. That’s why the UK is building flood resistant permanent shelter for another 27,000 families, and will help tens of thousands more to repair their homes”, DFID official said in a statement. “This is testament to the deep friendship and bond between the UK and Pakistan – we will always stand by and support each other,” George Turkington added. As part of the continued aid to last year’s flood-hit people om Sindh the UK agencies is also offering packages of 405g of vegetable seeds, 2 kg of sunflower seeds. In a move to address the growing shortage of affordable housing in Islamabad, the government has approved an instalment-based housing project in the capital. The project, which has similarities to the Ashiana Housing Project introduced by the Punjab government, was approved by Prime Minister Raja Pervez Ashraf on Friday. Explaining the project, Housing Secretary Kamran Lashari told The Express Tribune that work on the “much-needed project” will begin within three to four months. During a meeting at the Prime Minister’s Secretariat on Friday, Lashari informed the PM that between 3,500 and 5,000 flats would be constructed on some 50 acres of land owned by Pakistan Railways. Lashari, who is a former chairman of the Capital Development Authority (CDA), said that the land to be used for the proposed project near Sabzi Mandi in Sector I-11 is not disputed and that the ministry will negotiate with the Railways authorities over its acquisition. The total estimated cost of the project is Rs28 billion. The housing secretary also informed Ashraf that only 28,000 housing units were available for government servants against a total demand of 50,000. Approving the project in principle, PM Ashraf constituted a task force comprising representatives of the housing, railways and finance ministries along with the CDA to assess the price of the land and directed the task force to present its recommendations within a week. According to a handout issued after the meeting, Ashraf said the government recognises the acute shortage of housing for government servants in the capital. He said this needs to be addressed with out-of-the-box solutions so that some relief can be provided to the bureaucrats. Notably, the Capital Development Authority (CDA) has not developed any new sectors in the capital for over 23 years. “We need to work out criteria for allotment of flats and ensure their construction according to international standards and affordability,” said the prime minister, adding that due to the shortage of land for construction in Islamabad, the Capital Development Authority (CDA) should encourage high-rise buildings in the city. Pakistan's property boom is here, but is it here forever? KARACHI: Everyone in Karachi believes that the safest and most lucrative investment is in the real estate sector these days since it provides the best returns with much less risk and effort. That is why, every other day, housing schemes are being launched. It means that the property boom is here. But is it here forever? That’s the million-dollar question. It is true that per square metre prices in Karachi ($760.78) are much lower than average per square metre prices ($8,824.60) in the metropolitans. However, we must realise that the fundamental value of a real estate investment is largely influenced by its rental value. Rent-to-price ratio in Karachi (0.54) is lower than the ratio of Dubai (0.83) only. Shanghai, Mumbai and Singapore have much lower rent-to-price ratios than Karachi. This means that, on average, rents in Karachi have already peaked as a return on investment relative to other big cities. Furthermore, people in Karachi are already paying much more rent in comparison to their salaries. Rent-to-salary ratio of Karachi (1.30) is only lower than the ratio of Mumbai (2.07) and Shanghai (1.88). Dubai and Singapore have lower rent-to-salary ratios. This means that, on average, people in Karachi are paying too much rent in comparison to their income when compared with other big cities. The only plausible reason for such high prices in Karachi is the burial of illicit money in the property market. Furthermore, tax avoidance also makes property investment a lucrative strategy. A few changes in regulations (filer/non-filer issue) have been tried to curb the above two avenues. Otherwise, as per the rental yield analysis, fundamentals of property investment in Karachi seem very weak.